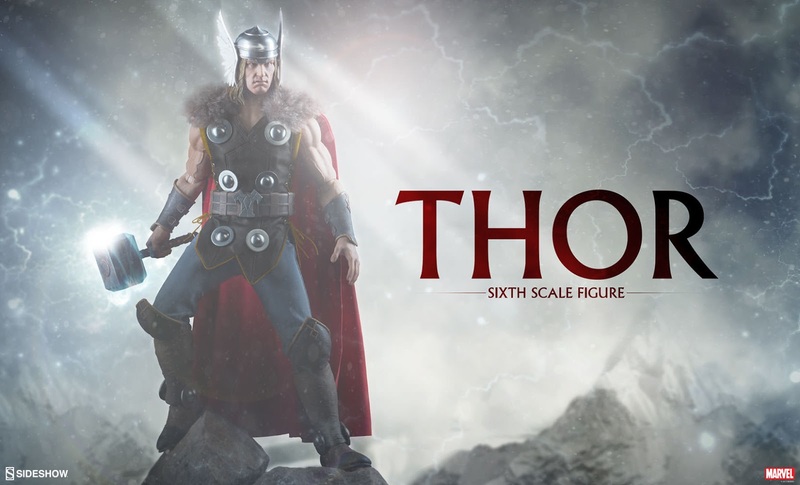 Not only did Sideshow tease Toothless in last night's weekly newsletter, the high end collectible company also gave collectors their first full look at their comic based 1/6 Scale Thor Figure. Lets just say that this statue is worthy! 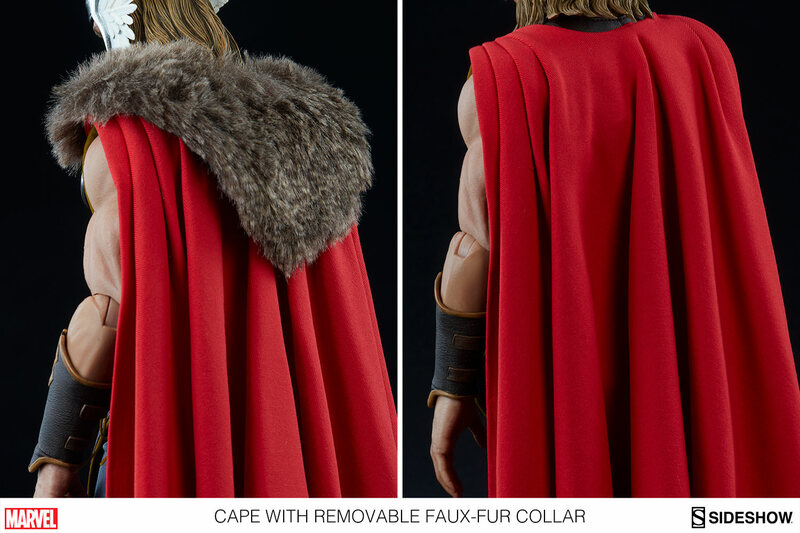 The details on this guy from the fur to the hammer are simply stunning. Unfortunately the price is sure to strike your wallet as hard as mjolnir hits a frost giant, at $250. 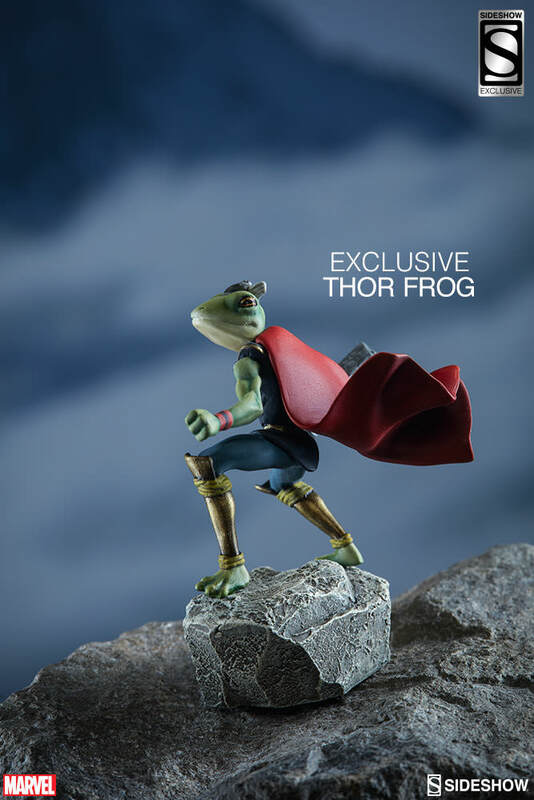 The sideshow exclusive version also comes with an equally epic Frog Thor. The figure is currently slated for a May 2018 ship date. 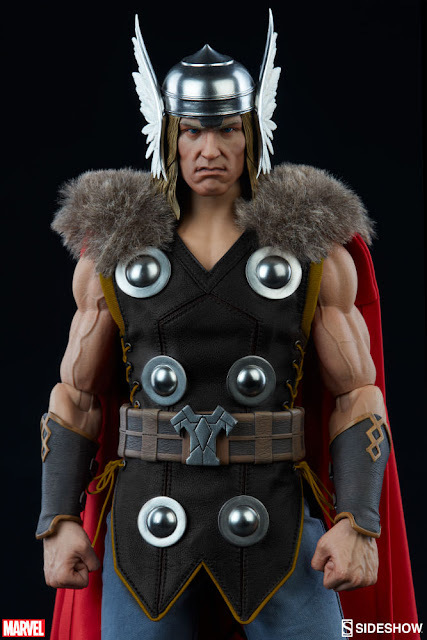 Pre-order the Odinson now at Big Bad Toy Store!